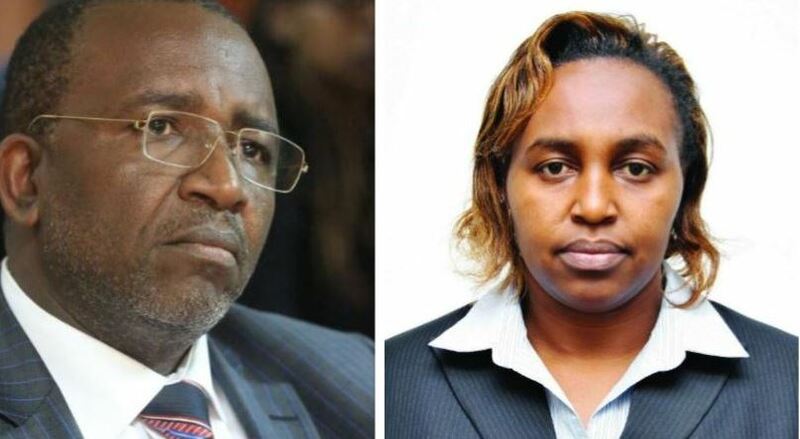 New revelations have emerged in the bitter divorce tussle pitting Meru Senator Mithika Linturi against his estranged wife Maryanne Jebet Kitany. The Senator now claims that Ms Keitany forged the papers showing that he divorced his wife, Mercy Kaimenyi. According to Linturi, he never divorced Kaimenyi whom he married in April 2005 at Tigania Catholic Parish in Meru. Further, documents presented in Court indicated that the said divorce registered under No. 128 of 2005 was between Elizabeth Ann Patricia Hennessy vs. Parrie Andrew Hennessy and not Frakline Mithika vs. Mercy Kaimenyi. “The entry in the Register shows that it is a concluded matter and we have confirmed from Kenya Law Reports that the judgement is reported as E.A.P.H v. P.A.H (2011 ),” reads a letter from the deputy registrar. The registrar requested for more time to conduct a search of the original file. The said letter was a response to a letter that had been written by Linturi’s lawyer dated December 28, 2018, seeking to confirm the genuineness of the divorce petition filed at the Meru Law Courts. The Meru Senator has denied having any matrimonial ties with Maryanne Jebet. “I am in a monogamous relationship with only one woman who is not Kitany,” he argued through lawyer Muthomi Thiankolu. The matter is expected to be heard today (Tuesday, January 15).